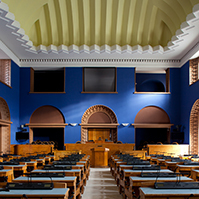 The Riigikogu passed with 70 votes in favour the Act on the Ratification of the Convention between the Republic of Estonia and the Hellenic Republic for the Avoidance of Double Taxation and the Prevention of Fiscal Evasion with Respect to Taxes on Income and on Capital and the Protocol thereto (979 SE), initiated by the Government of the Republic. The purpose of agreements for the avoidance of double taxation is to favour investments, to ensure equal treatment of persons and to eliminate double taxation, which may occur as a result of joint influence of the Acts of two states. For the achievement of these purposes, the agreement imposes restrictions on income and property taxes, which may be established to the residents of the other state by the state of the source of income. The Agreement also contributes to the creation of additional possibilities for the prevention of tax evasions. Estonia has already concluded the agreements for the avoidance of double taxation with Finland, Sweden, Denmark, Norway, Latvia, Lithuania, Poland, United Kingdom of Great Britain and Northern Ireland, Iceland, Czech Republic, Canada, Ukraine, Germany, Belarus, Netherlands, Italy, France, Ireland, United States of America, Moldova, China, Kazakhstan, Belgium, Austria, Armenia, Malta, Croatia, Switzerland, Hungary, Portugal, Turkey, Spain and Romania. 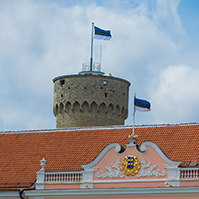 The Riigikogu passed with 72 votes in favour (1 against) the Resolution of the Riigikogu On the Approval of the Estonian Higher Education Strategy for the Years 2006-2015 (948 OE), submitted by the Government of the Republic. The document determines the tendencies of the Estonian higher education strategy for the following ten years. 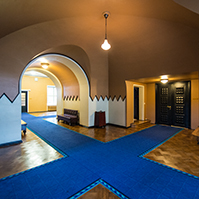 The Government, ministries, higher education institutions and student organisations will base their further activities on the priorities approved by the Riigikogu. 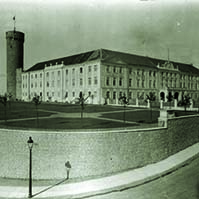 The strategy was developed on the basis of the factors forming the Estonian and the world higher education. The Bill on Amendments to the Social Welfare Act, Value Added Tax Act, Public Health Act, State Fees Act and Code of Civil Procedure (918 SE), initiated by the Government of the Republic. The motion of the Social Democratic Faction to suspend the second reading was not seconded. The result of voting: 26 votes in favour, 45 against. The Bill on Amendments to § 5 of the Income Tax Act (992 SE), initiated by the Government of the Republic. The motion of the Isamaaliit Faction and Res Publica Faction to suspend the second reading of the Bill was not supported. The result of voting: 21 votes in favour, 44 against. 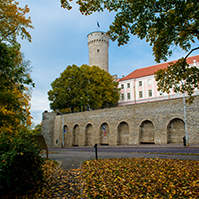 The Bill on Amendments to the Estonian Central Register of Securities Act and Commercial Code (951 SE), initiated by the Government of the Republic. The State Fees Bill (1011 SE), initiated by the Government of the Republic. 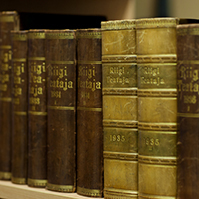 The Riigikogu also heard the overview of the State Audit Office of the Use and Preservation of State Assets in 2005, submitted by the Auditor General Mihkel Oviir. At Question Time Prime Minister Andrus Ansip answered the questions about the Estonian Railways, the deals with state assets, traffic safety and road conctruction. Minister of culture Raivo Palmaru answered the questions about “partification” related to the protection of cultural heritage and cultural objects. The sitting ended at 9.35 p.m.